With a stay at Hotel Ca' d'Oro in Venice (Cannaregio), you'll be a 4-minute walk from Ca' d'Oro and 8 minutes by foot from Rialto Bridge. Featured amenities include express check-in, complimentary newspapers in the lobby, and a 24-hour front desk. When you stay at Villa Arco in San Teodoro, you'll be near the beach and 3 minutes by foot from Cala Suaraccia Beach. Free self parking is available onsite. Located in Florence (Santissima Annunziata), Kometa Suites & Apartments is within a 10-minute walk of Basilica of Santa Croce and Accademia Gallery. 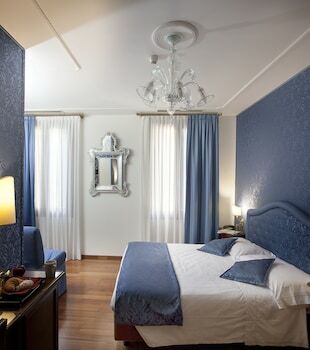 Florentapartments - Santo Spirito offers accommodations throughout the area in Florence. Located in Riomaggiore, La Casa di Venere is near the beach, within a 5-minute walk of Via dell'Amore and Fossola Beach. With a stay at Hotel Alla Casella in Gubbio, you'll be within a 15-minute walk of Piazza Grande and Cathedral of Gubbio. The front desk is staffed during limited hours.